The weekend before last, the kids and I took a little road trip to see my parents. 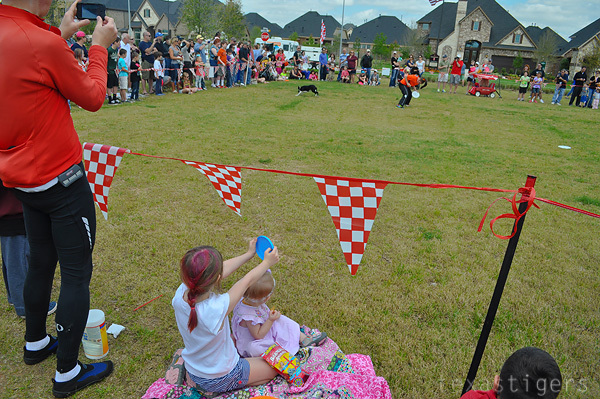 Their new neighborhood, where they are building a new house, was having a dog and kite festival. 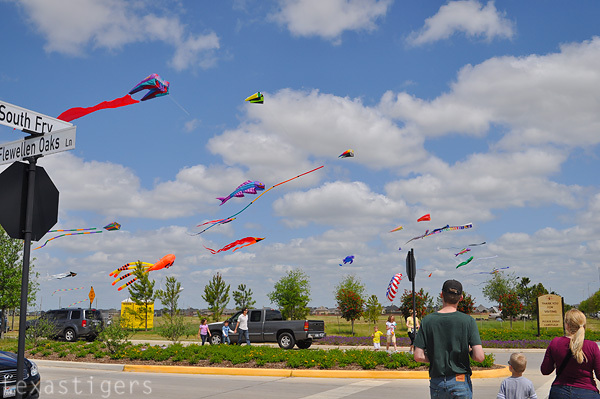 When we got there, they had all these beautiful, elaborate kites flying up in the air at the front of the neighborhood. 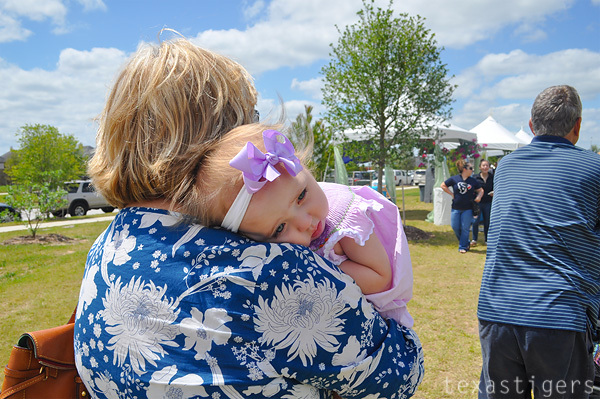 Then near the model homes there were tents set up for various booths. 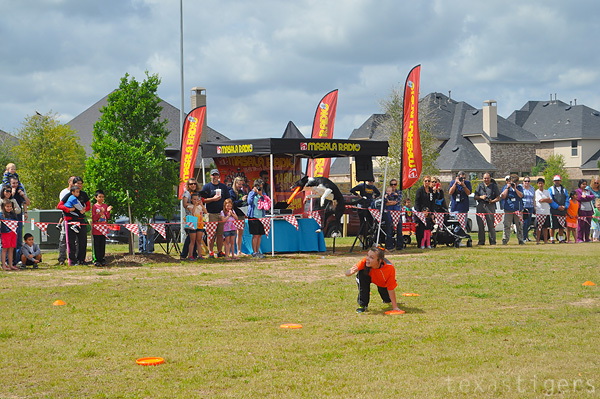 After getting kites and frisbees for the kids, we headed to watch the Houston Disc Dogs perform. As we walked that way we saw the fire truck and took a look inside. 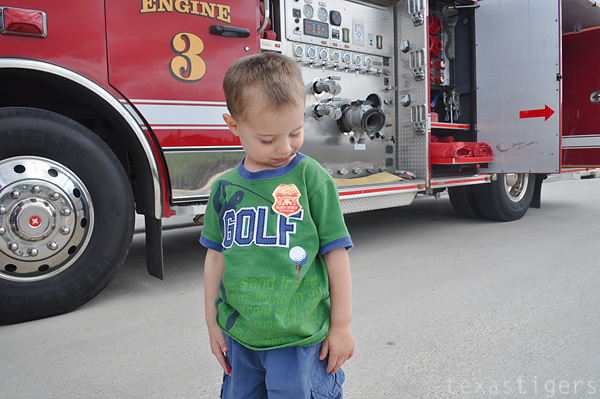 Both kids got a fire fighter badge sticker. 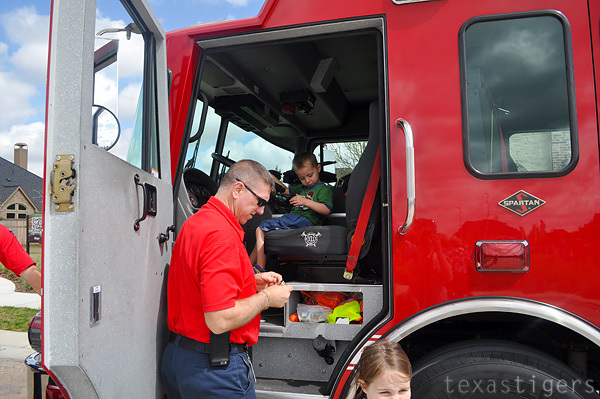 They love when they get a chance to check out a fire truck! The disc dogs were pretty awesome at their tricks and catching the frisbees, even with some strong wind. 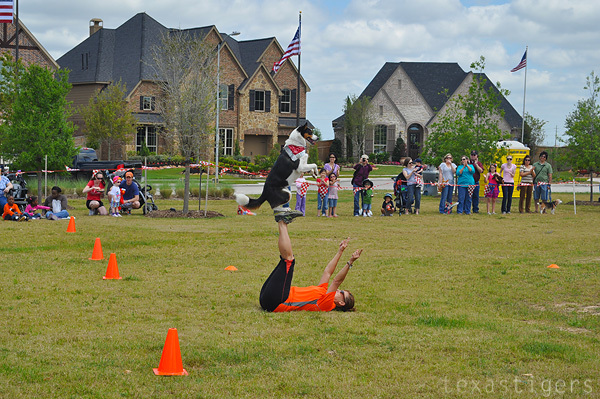 I didn't realize dogs would airplane like my kids like to ha! 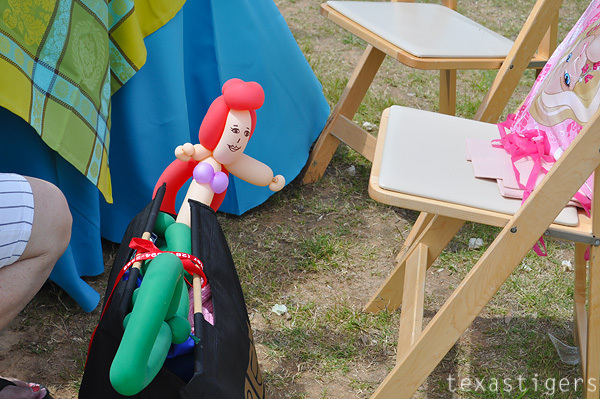 Next stop was the balloon animal guy. 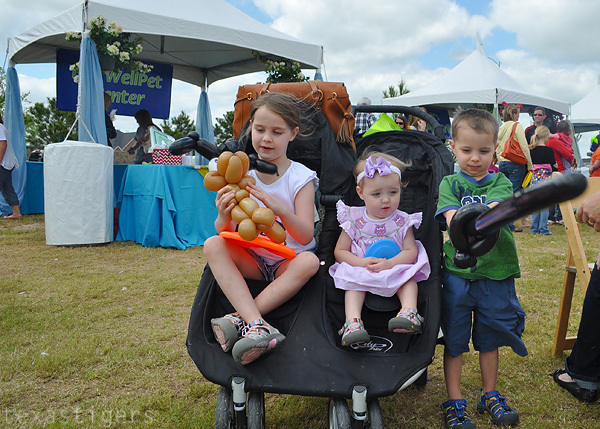 The last event we were at that had balloon animals, they ran out of balloons so the kids really wanted one this time. 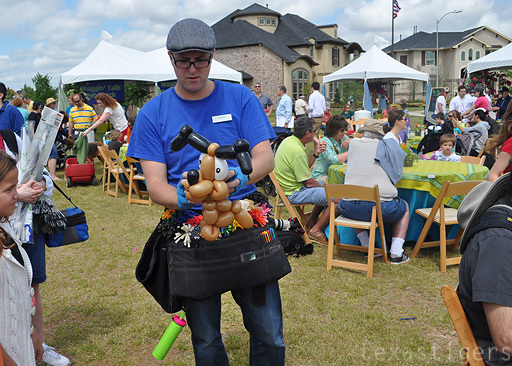 This guy was from England and was the most talented balloon animal maker I've ever seen. Not your simple one balloon dog there. Not sure where he got the idea from but Micah wanted a sword so he made it easy on the balloon guy. 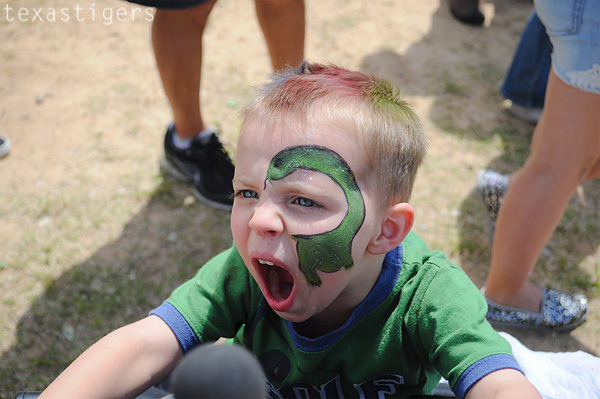 In the time we were there I saw him make Ariel, Rapenzuel, Mario, the Hulk, Spiderman and more. 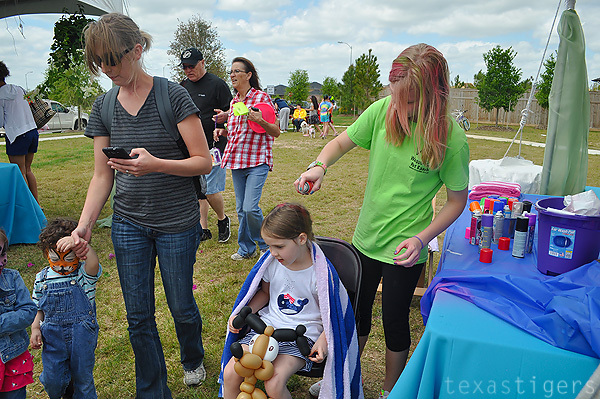 In addition to balloon animals, there was hair (for kids and dogs!) 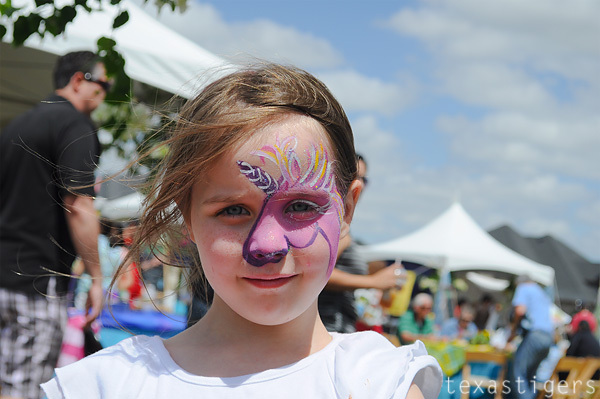 and face painting. and dinosaur by the time we left. And one very tired little Lexie. Well actually all three were tired and all fell asleep on the way back to Gigi and Pop's apartment. On the way out we of course checked out all the big kites again. It was the perfect day for kite flying with a good amount of wind. The kids had fun flying their little kites they got as well. That looks so fun! I bet the kids had a blast. This looks like so much fun! I love the kites and sadly we have never flown them like this.